GD Amazon Fusion plugin is progressing nicely, and next week it will be available in Alpha stage for testing. Alpha version will have some of the features completed including lookup and search for products on Amazon and adding them to the database. Plugin uses CloudFusion library to make all Amazon requests and to get the data. Also, this library implements cache methods, plugin also uses. First thing with this plugin are settings. Amazon Web Services keys and other access settings must be set before plugin can be used at all. Plugin can work with any Amazon available, but you need Associate ID’s to make it work, due to requirements for using Amazon API. Sign up for any Amazon service is free. 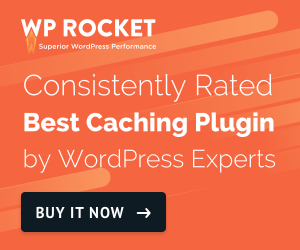 If you plan to add many products and perform many search and lookup operations, it’s recommended to use cache to store results from all the requests. Right now, plugin supports use of file system, APC and XCache methods. Most important form made right now is for searching. Image bellow shows the search/lookup form with results of the search. Form can work as search as on image, or as lookup where you specify Amazon ASIN number to get the product directly, if you know the ID. Results display is not yet completed, and will include more details. Search form will also be expanded as needed. When the Alpha version gets released, it will have saving products in database completed, and also attaching the products to posts via meta box on the post/custom post type editors. Once the plugin is ready for testing, I will create a demo website that will be used as showcase with my collection of books, DVD and Blu-Ray discs I purchased of Amazon. Same website will be a showcase of another upcoming feature that will be added to GD Custom Posts and Taxonomies Tools, that will be available in the next 2-3 weeks. All comments on new plugin are welcome. I can`t wait to replace a crappy Amazon/WP plugin by this one. Thanks. Plugin will be available for beta testing via xScape.info website where anyone can make test website and test all plugins and themes. Next week will start Alpha testing for anyone who has Dev4Press Plugins Bundle license, and Beta is expected in about 3-4 weeks.